On May 1, 2015, the Rule of Law Collaborative at the University of South Carolina (ROLC) and the United States Institute of Peace (USIP) held the inaugural Justice Sector Training, Research and Coordination (JUSTRAC) Symposium, “Empowering Women in Mixed Legal Systems,” at USIP headquarters in Washington, D.C. Drawing upon the experience of experts and policymakers within government, academia, and non-governmental and international organizations, the symposium sought to identify both the challenges women face in “mixed” legal systems — legal systems that incorporate multiple legal influences, such as common, civil, customary, religious, or tribal laws or norms — as well as the potential mechanisms and modalities for empowering women in those systems. Symposium participants and speakers were encouraged to break from commonly-held assumptions about the ways in which women’s rights are understood, appreciated and enhanced in order that future programming may lead to sustainable options. The Honorable Catherine M. Russell, U.S. Ambassador-at-Large for Global Women’s Issues, opened the symposium and panelists from a variety of institutions engaged in thoughtful discussions about effective and sustainable mechanisms for improving women’s social, economic and legal empowerment within such systems. The symposium also explored the strategies and pitfalls for women’s access to and engagement with religious tribal or customary law and examined how to effectively and legitimately enhance the capacity and the participation of women in mixed legal environments. See the Ambassador’s remarks as prepared, here: http://www.state.gov/s/gwi/rls/rem/2015/241387.htm. 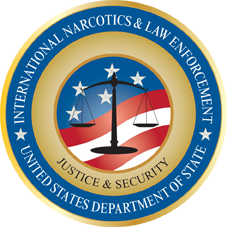 The JUSTRAC symposium is part of a series of activities on a variety of rule of law topics organized by ROLC as part of a five-year collaboration with the U.S. Department of State’s Bureau of International Narcotics and Law Enforcement Affairs (INL). For more information, contact Hamid M. Khan at hamidk@mailbox.sc.edu or visit ROLC’s website at http://www.rolc.sc.edu/.